Child during the dance classes must feel at ease without uncomfortable body movements and crimped underwear. A child needs more concentration while doing the outsourced functions. 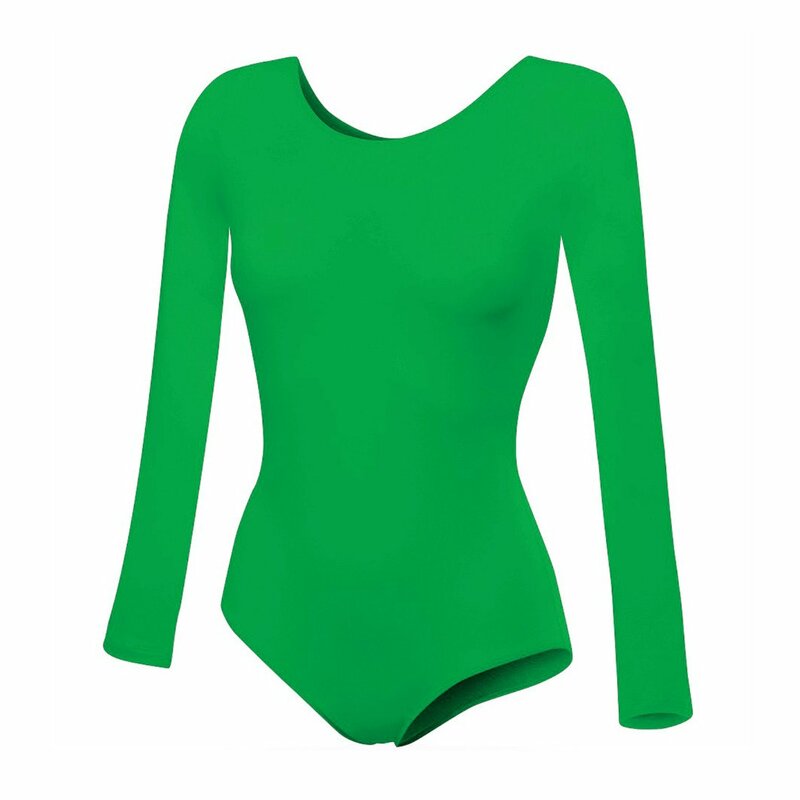 To be more focused and at the same time full of happiness and smile during dance training - RENN has created abody with 3/4 sleeve (long sleeve leotard) which works in these situations. Children are the most demanding consumers that's why children's costume with 3/4 sleeve is made of material which provides the best comfort for them. Mixture of 95% -97% cotton and 3% -5% elastane is ideal for colder periods. Soft material provides a nice touch for your child's body and also it feels nice and comfortable for wear. High flexibility of the material which it is made means unfettered movement during performing dancing figures and other exercises. It is a one-piece costume, so it protects the child's kidney from colds. Body default has no fastening in step (it is worn by neckline). - sizing - PLN 10. - it is not possible to return the goods. Information on selected modifications should be included in the product commentary when placing the order. Depending on the individual settings of the displayed image, the color of the product shown in the pictures may differ from the actual. In addition, there may be differences in the shades between individual production batches. Our RENN products are made in our own sewing room. In the case of storage shortages, they are made according to the needs, which may slightly delay delivery. The delay time depends on the overlap of the sewing room. In order to 100% confirm product availability, please contact us by phone. ATTENTION! HYGIENE GUARANTEE! This product before packaging is checked for cleanliness. The packaging has our factory seal that guarantees the "first user". After opening the packaging, you CAN NOT return the goods for hygienic reasons. The exception to the return is factory sealed goods. Sent phrases of open packages are not considered and are not sent back. In the case of single-size purchases, we ask for thoughtful shopping - we suggest buying a larger size, which due to the high flexibility of the product should adapt to the user's body.